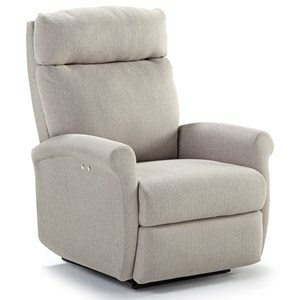 This modern recliner has a minimal design that is appropriate for young newly weds or a family looking for a living room with flair. 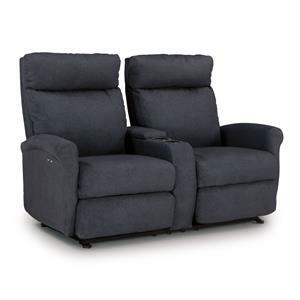 The shape of the attached back continues the contemporary vibe while its reclining function, adds a great deal of comfort. With the recliner's space saver technology, you'll be able to recline without taking up as much space as a standard recliner. This wonderful feature allows you to position the upholstery item closer to the wall for a more open and welcoming living room. 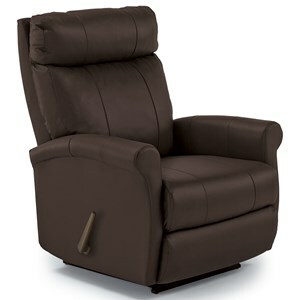 The Codie Space Saver Wall Recliner with Rolled Arms by Best Home Furnishings at Hudson's Furniture in the Tampa, St Petersburg, Orlando, Ormond Beach & Sarasota Florida area. Product availability may vary. Contact us for the most current availability on this product. 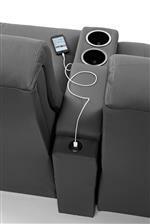 Footrest Operation Space Saver Reclining Function that Allows for More Flexibility and Room in Your House. The Codie collection is a great option if you are looking for Traditional Casual furniture in the Tampa, St Petersburg, Orlando, Ormond Beach & Sarasota Florida area. 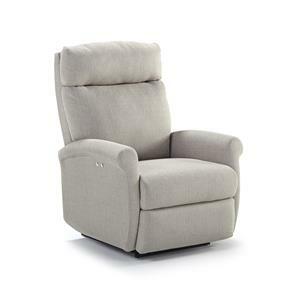 Browse other items in the Codie collection from Hudson's Furniture in the Tampa, St Petersburg, Orlando, Ormond Beach & Sarasota Florida area.